The Ramallah Tourist Information Center welcomes you during your stay in the city of Ramallah. 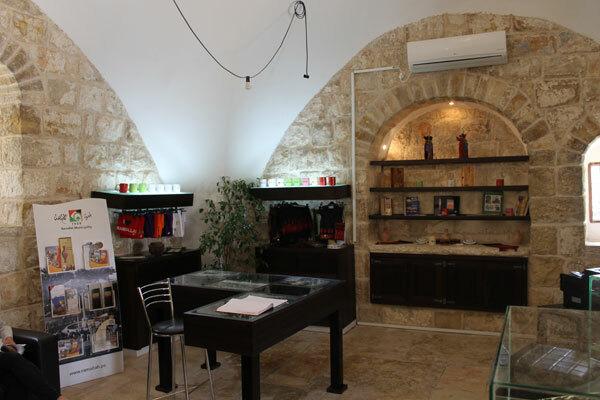 The tourist center, located in the old city across from the Ramallah Municipality building, is the first of its kind. It was founded in the year 2011, in order to offer information and tourism services to the residents of the city and its visitors. The Riwaq Center for Architectural Conservation and the Swiss Agency for Development contributed to the restoration of the old building. The French Foreign Ministry and the Municipality of Bordeaux, in cooperation with the Ramallah Municipality, helped to support the establishmentof the center. Brochures containing general and diverse information about Palestinian cities and in depth information about the city of Ramallah. Programs for various activities (cultural, social, recreational) in the city of Ramallah. Instructions on the use of local transportation and information on city roads and streets. Printed programs of tourist activities and organized tours. Books and publications about the geography, history, heritage, culture, politics, and society of the city of Ramallah and Palestine. We wish you a very good stay in Ramallah and we hope that you will bring back some souvenirs from Palestine to your country. 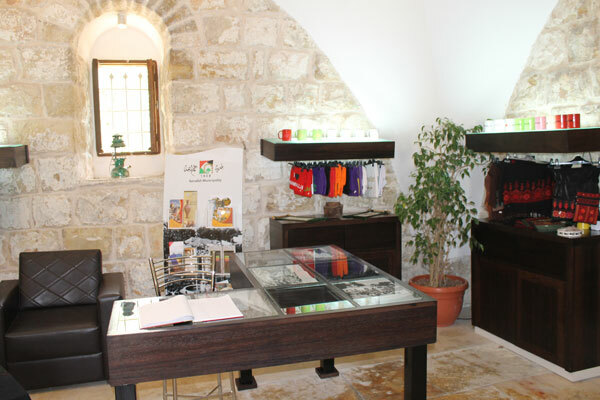 Our gift shop provides you with Palestinian traditional handicraft and souvenirs, books, brochures on cultural events, and postcards. The Information Center is happy to be able to help you during your stay in Ramallah. Our city is located on a several mountains that open to the sea, with up to 900 meters above the sea level. Our city is green despite its lost greenery, our city is the bride of Palestine , for its renewable beauty and breezy air. Ramallah was established 500 years ago by the Jordanian family of Rashed Al Haddadin , in 1908 Ramallah was recognized as a city. Ramallah is the neighboring city of Jerusalem, our eternal capital . and despite all the obstacles you are at a distance of ten miles from the Aqssa mosque and the holy sepulcher church. The middle possession of Ramallah in center of the west bank, qualifies the city to be the departure station for roaming between the other Palestinian cities. - The city of the open and beautiful life, the lovely weather city where the breeze of the Mediterranean sea reach you wherever you set in its boundaries. - the city of Ramallah is characterized by a culture of intellectual and religious pluralism, the city of theatre and various arts , the city of interaction and dialogue, the City of domestic tourism, parks, gardens and fine restaurants, nightlife and cafes. And the city of youths, clubs, arts and sports. Ramallah is also rich in cultural activities, seasonal and annual festivals ,celebrations and artistic activity. Ramallah is conceder a political and diplomatic center, and the center of the political parties and groups, youth activist and intellectuals, Ramallah is the city where most of human rights and children organizations, institutions and companies are located. Ramallah is characterized by plurality of religions, churches and mosques; it is the city of tolerance.